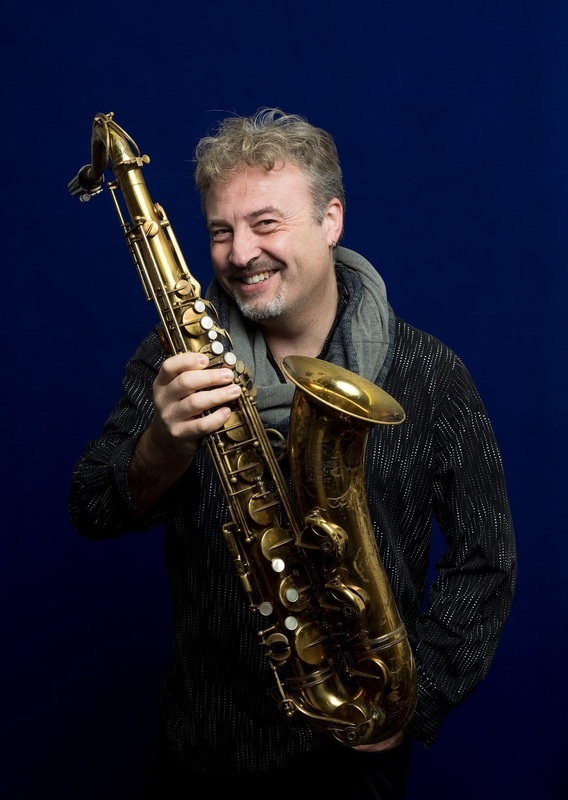 Tim Garland has been described as a world-class jazz improviser, one of the most versatile musicians in the UK, and even a living legend. The ‘honorary northerner’ speaks to Ann Chadwick on the run up to his appearance at Harrogate International Festivals. Harrogate International Festivals present the Tim Garland Electric Quartet on Sunday 2nd July, 7.30pm at the Crown Hotel, Harrogate. Visit harrogateinternationalfestivals.com to book, Box Office: 01423 562 303. “Some people think that I moved to America, but I never did – I just got off at Newcastle,” Tim laughs, speaking from his home in Whitley Bay, with a view of the sea. Despite having a home in London for easier access to Heathrow airport, Tim bought a home in the North East 13 years ago to bring his children up outside the big smoke. He wrote compositions for the Royal Northern Sinfonia when the Sage, Gateshead, just opened and the Arts Council was keen to encourage more creativity in the regions. The juxtaposition of the north of England’s coastline and American jazz scene, mirrors Tim’s own yin and yang approach. Famed for his improvisation, he’s also loves composition, studying classical music and jazz at the Guildhall School of Music. It seems unlikely for a lad born in Essex to embrace the genre most synonymous with 1920s black America; a genre also famously mocked for its black polar neck vibes on comedy sketch shows like the Fast Show. ‘Jazz…nice!’ It’s a prejudice Tim hopes people check in at the door. The power of a live performance is something Tim is passionate about. Jazz as a genre is packaged into sub-categories: electric, avant-garde, smooth. Tim, not one for categorisation, is best known as a lyrical player, but has worked with all styles guesting with players such as Jeff Lorber. It definitely reached people. One received huge critical acclaim, and was last year’s Jazzwise Album of the Year; Tim was also nominated for the 2017 Jazz FM Instrumentalist of the Year Award. The acclaim is something he shoulders with both gravity and humour. “I’ve just turned 50, you get a fair a bit of acclaim just for hanging in there,” he laughs. The band features Asaf Sirkis on drums and Sting’s pianist for many years, Jason Rebello, as well as newcomer guitar-maestro Ant Law. For those who are a bit scared by the word jazz, Tim insists it is in fact the perfect music to unify all of us.